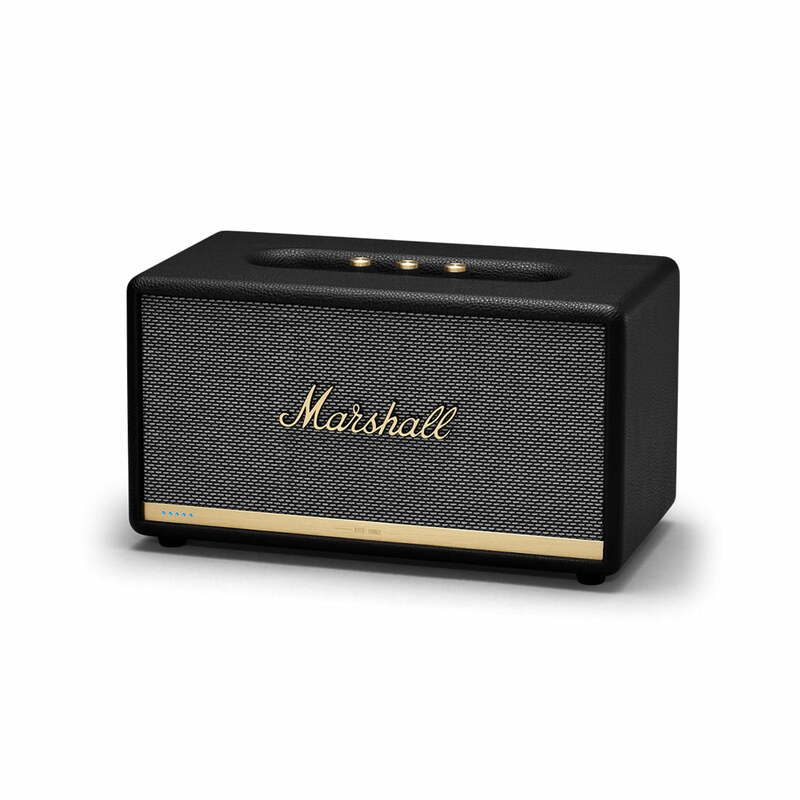 Marshall Stanmore II Voice Wireless Bluetooth Speaker produces clean and precise audio, even at the highest levels, due to advanced components such as two 15 Watt class D amplifiers powering its tweeters and a 50 Watt class D amplifier to drive its mighty subwoofer. With Alexa you can use your voice to multi-task, hands-free. Ask Alexa to play your favourite playlist or teach you a new chord progression on the guitar. Even tell Alexa to turn the volume up when your favourite song comes on or hit the lights when you’re ready to call it a day. Classic Marshall details such as a textured vinyl covering, salt & pepper fret and the iconic script logo adorn the sturdy wooden frame of Stanmore II Voice. Located on the front of the speaker is a brass plate with LEDs that indicate when Alexa is ready to respond to your command. The brass plate is proudly etched with the establishment date of 1962 – a subtle nod to the brand’s heritage and over 50 years of loud. Stanmore II Voice is the most versatile speaker in the Marshall line-up and is perfect for any room, big or small. Built with advanced components, it produces clean and precise audio that can easily be controlled by your voice, even at the highest levels. Now you can play and control your music hands-free with Alexa. Use your voice to play music or listen to a podcast while you’re busy doing other things. Consider this speaker your backstage pass to every song on the planet. Access to all of the world’s music has never been easier, just ask Alexa to play music from the most popular streaming services and you’re ready to listen. Easily set up Marshall Voice speaker in just a few steps with the Marshall Voice app. You can also customise your listening experience with built-in EQ presets or connect to other Alexa-enabled devices.